Are you like me the gluten-free goddess who never has gluten-free bread in the house? Well I have a solution for you! 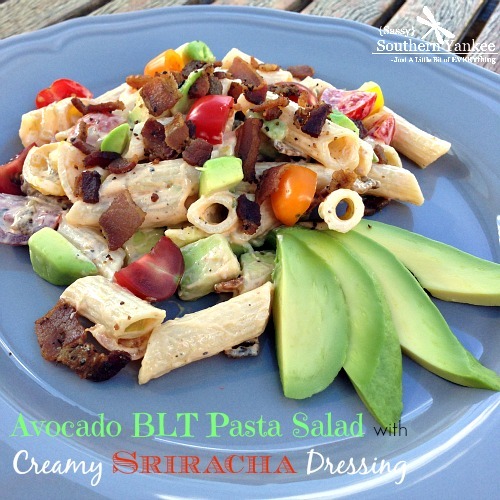 Avocado BLT Pasta Salad with Creamy Sriracha Dressing is where it’s at! Growing up I loved making and eating a good old BLT. So simple, yet so delicious it’s something about the warm toast and bacon paired with the crisp lettuce and fresh tomatoes; it just screams summer. I know, I know it’s officially fall, but I just can’t let the beautiful sunshine go. This Avocado BLT Pasta Salad with Creamy Sriracha Dressing is my take on the perfect BLT, but when you don’t have GF bread. I added a bit of avocado, and a bit of heat with the Sriracha for added creaminess and a bit of heat. Let me know what you think! In a large pot heat enough water to boil the pasta; cook the pasta following package directions. Once the pasta is cooked rinse in cool water then set aside. 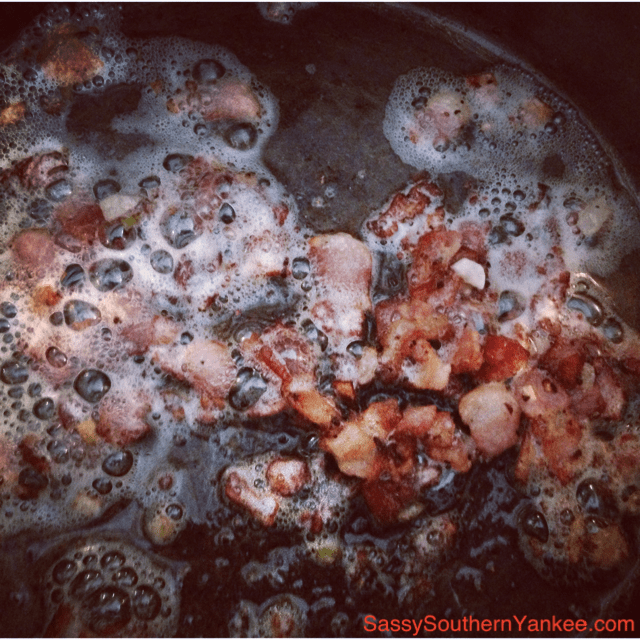 While the pasta is cooking heat the bacon in a large skillet over medium high heat; cook until browned and crispy. Allow the bacon to cool on a piece of paper towel. In a medium bowl add the mayo and Sriracha and using a whisk blend together until creamy and smooth. Add the cooked pasta, quartered tomatoes, diced avocado and bacon; gently toss together until evenly combined. Allow the BLT pasta salad to chill in the fridge for at least 30 mins before serving. 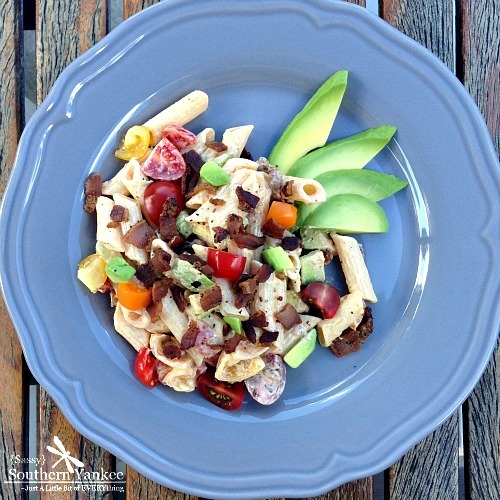 Avocado BLT Pasta Salad So simple, yet so delicious it's something about the warm bacon paired with the avocados and fresh tomatoes; it just screams summer. 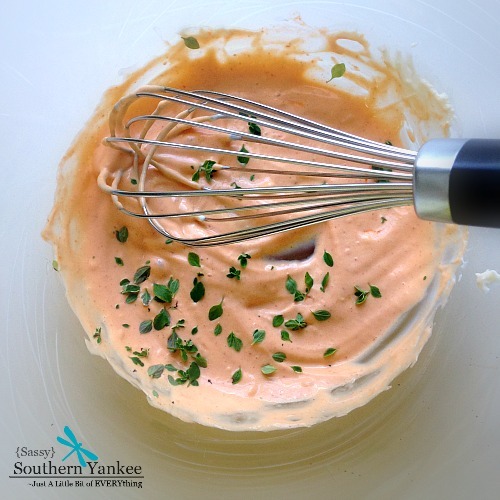 In a medium bowl add the mayo and Sriracha and using a whisk blend together until creamy and smooth. Add the cooked pasta, quartered tomatoes, diced avocado and bacon; gently toss together until evenly combined. Allow the BLT pasta salad to chill in the fridge for at least 30 mins before serving. 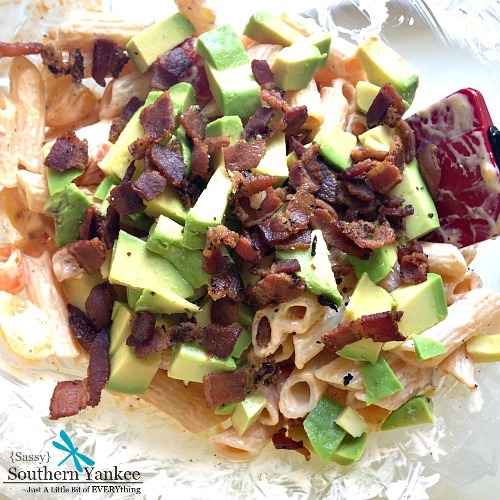 This entry was posted in Main Course, Salad, Side Dish and tagged allergy friendly, Avocado, Back Yard BBQ, Bacon, BBQ side dishes, BLT, Dressing, Easy Dinners, Gluten Free, Pasta, Pasta Salad, potluck, salad, Sriracha, Sriracha Lovers, Summer, tomatoes.